Review Saint Books – Free Fantasy Book in return for an honest Review! 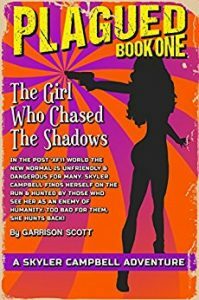 *Plagued [For Review] by Garrison Scott. Price is: Free in Return for a Review. Genres are: Fantasy of the Day, Sponsor, Post Apocalyptic SciFi. 315 pages. Please leave a honest comment, review, after reading. Here is the link to the book on Amazon. Author KibetPosted on March 2, 2018 Leave a comment on Get this Epic Fantasy Book Free! Please Review After Reading!